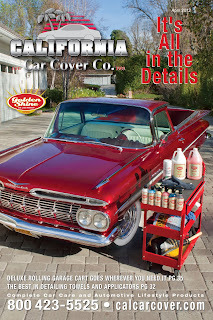 We have featured a few vehicles from Fennel Restorations and we were thrilled this time around when Mike and Juli Fennel could participate in the April 2012 California Car Cover catalog cover photo shoot. 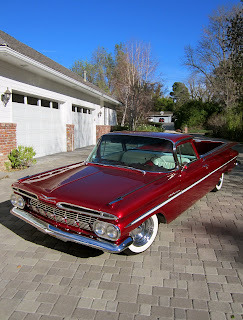 Early El Caminos are hot right now and this 1959 model is a fine example. 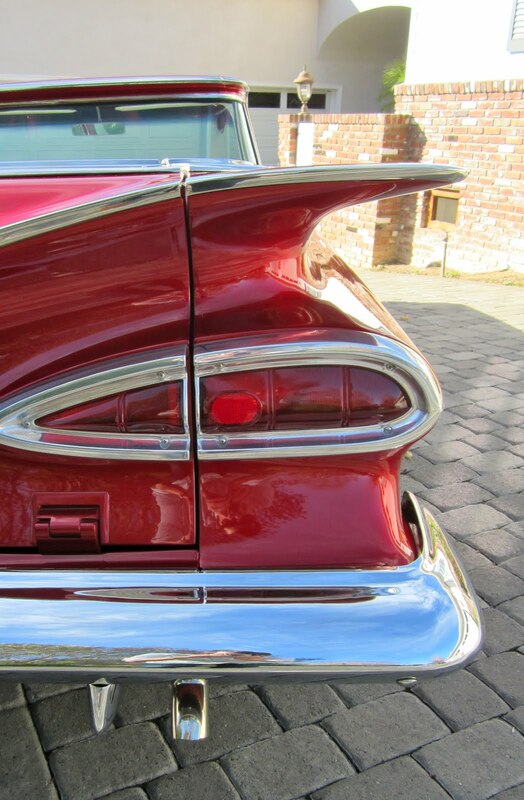 This 1959 Chevy El Camino features a 409 engine under the hood, tuck n' roll interior and candy apple red paint. 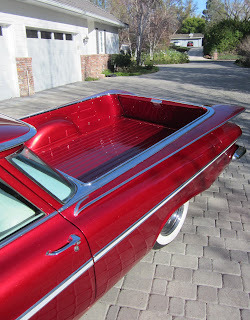 The El Camino sits on Wheel Vintiques chrome wheels and BF Goodrich white walls. 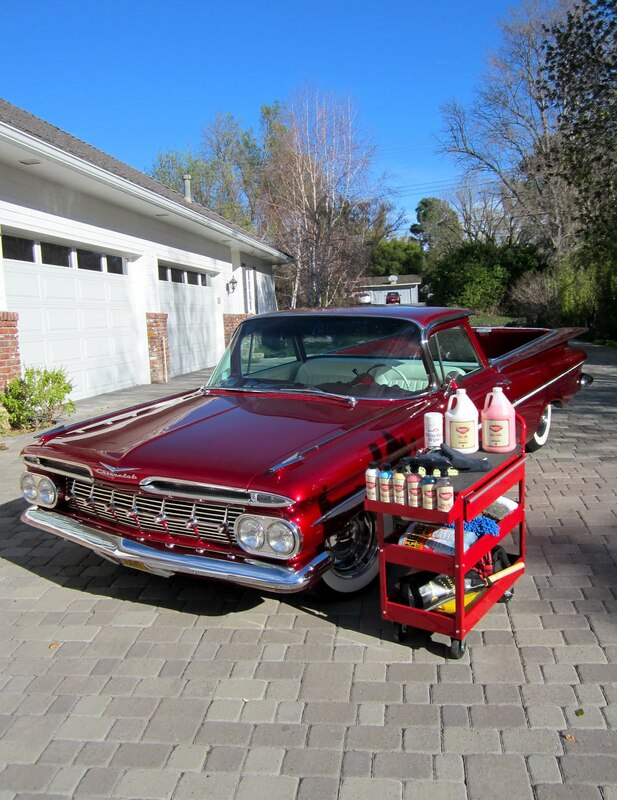 We always feature their hot rods, but Fennel Restorations in Santa Clarita, Ca does an excellent job of restorating classic and historic vehicles. They oversee completion restorations of many vehicles that have been sold at Concours events and Barrett-Jackson auctions. For more information on Fennel Restorations, please visit their website. The April 2012 California Car Cover catalog. 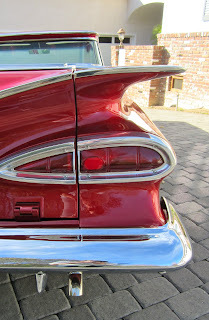 Check back next week for photo highlights and coverage of the Good Guys Del Mar Car Show and La Jolla Concours this coming weekend.